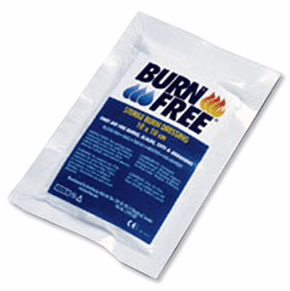 We are often asked about Burn Gels and Blister Plasters on our first aid courses. What do they do, should we put them in our first aid kit? In general, we’d advise not to include any ‘lotions or potions’. Especially when you have a duty of care to provide first aid treatment to someone else. However, Burn Gels and Blister Plasters are readily available to the public. So in this post we explain a bit more about them to allow you to make your own decisions. What is a Burn Gel? A Burn Gel, or more correctly, a Hydrogel, is a first aid product for the treatment of minor burns, scalds and certain types of abrasions and friction injuries. ‘Hydrogel’ is the broad category term given to capture many specific name brand products that fall within the hydrogel, amorphous (free flowing), “gels” category. Depending on the manufacturer you may find them called different names, but are usually known as ‘Burn Gels’. They are commonly available as treatments for minor burns. How do Burn Gels Work? When treating burns, always follow the normal first aid procedure for burns (i.e. immediately cool the area, ideally with running water) before using a hydrogel. If in doubt, always seek medical advice. Sheet hydrogel — a gel supported by a thin fibre mesh. The dressing can overlap intact skin and generally won’t harm it. It’s available with and without adhesive borders and can be cut to fit the wound. Hydrogel dressings absorb wound exudate and bacteria; they are usually waterproof, breathable and skin-friendly; their removal should not irritate the wound. By providing moisture to the wound, hydrogel dressings create a moist healing environment. For minor burns where you are not going to seek medical attention you may choose to use a hydrogel barrier in one of the forms of burn gel or burn plaster above to offer pain relief, and to reduce the risk of infection. Hydrogel plasters rather than dressings, are particularly suitable for the treatment of smaller superficial burns and scalds. Hydrocolloidal plasters, (rather than Hydrogel plasters), are used for the treatment of abrasions. 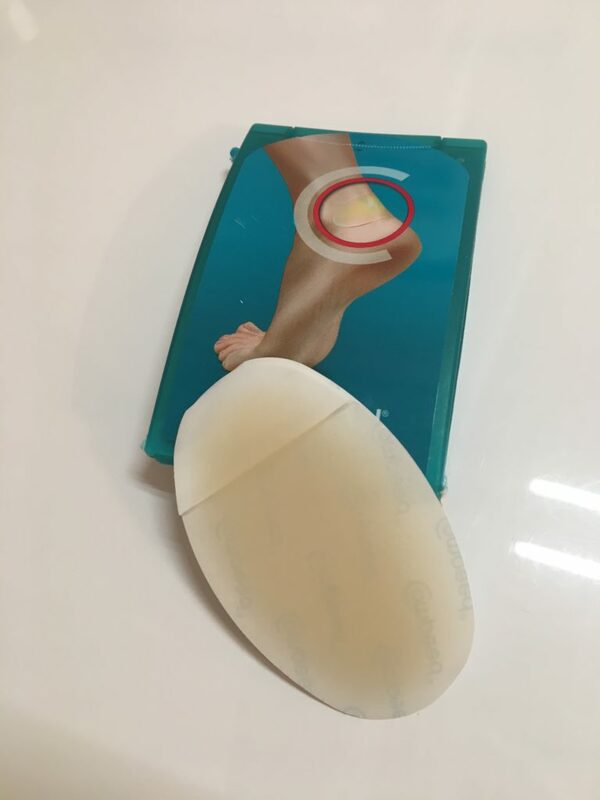 They are also used for the prevention and treatment of blisters and corns. Again, many different types and brands are available. They protect the wound and keep it clean. They also cushion the wound, and allow it to heal faster by absorbing and wicking away its moisture. A hydrocolloidal plaster looks much like a normal plaster, although it feels thicker and much less flexible. Once applied to the skin to cover the blister, they start to work quite differently however. How do Blister Plasters Work? Blister plasters are made of hydrocolloids, hence ‘hydrocollodial’. They have a rubbery texture. This material contains a substance called a hydrocolloid, that absorbs moisture. Also a gel-forming material such as sodium carboxymethylcellulose (a water-soluble polymer), mixed with gelatine. The top layer of elastomer is there to hold the plaster together, allowing your skin to move around underneath. Lastly there is some adhesive which sticks to your skin and ensures that the plaster stays there for at least a few days. Hydrocolloidal plasters help blisters to heal quickly and hygienically, even if you’re out and about. The treatment is more effective, when hydrocolloidal plasters are left in place until they detach themselves. Find out more about general burn treatment in our Bonfire night post here! Tom has 10 years of experience as a first aid trainer / assessor and over 20 years experience of outdoor sports instruction and coaching internationally. Prior to becoming a founder of the First Aid Training Co-operative, Tom grew a successful business delivering predominantly outdoor / remote first aid courses across Scotland, using his experience to help others in the outdoor industry improve their skills. Tom is a graduate of the Rural Leadership Programme and also runs a mountain bike trail design consultancy. He continues to work internationally, dividing his time between Scotland and the Italian Alps.